Don’t you tell me what you want. I will tell you what you want and you will be happy with what you get. This seems to be the theme of modern day business and politics. Business leaders and political leaders seem to be far removed from the ordinary, everyday world and they forget that we live in a democracy where the voice of the ordinary citizen can and should be heard and make a difference. Instead we get crammed down our throats what experts think is good for us (but it really is what is good for them). Many people make a career of telling the ordinary person what they should do with little or no basis of experience of being actually involved in and having lived with the conditions they are making recommendations about or have made a decision about. Part of the problem is people telling other people what to do and then not applying it to themselves. What’s sauce for the goose is sauce for the gander. Would you buy or have you bought the thing you are advertising and used it? How insincere can you get. What it amounts to is telling lies. When a person has a position of great power such as the President of the United State or a CEO of a major organization, they are often perpetuating their own views of what society should need and want even if it hurts the people and benefits the person in power. Ordinary people get caught up in this too and to keep a job which he or she desperately needs, they will frequently promote these ideas of those in power even if they know they are not right. Are these crimes against humanity? Why are we so afraid of the truth? Why don’t we have a better educational system where students are exposed to all different points of view in order to find out what they believe. Instructing students in logic would also help them with their decision-making. One problem (which is another example of what was citied above about politicians and CEO’s) is that academics often have a particular theory or belief that they promote to the exclusion of opposing points of view. Students can be very vulnerable to this type of influence if the professor appears particularly learned and holds a position of power or standing in his or her field. Do these professors seek admiration from their students, all I know is that sometimes they can exert undue influence over their students. This is not to neglect the professors that welcome inquiring minds and help the students to open to pioneering in new fields of interest. Don’t Let It Go to Your Head! We are an opinionated country. Everybody has something to say about everything especially now with the social network sites. We get so caught up in how we see an issue or behavior that we are literally blind to how the other person might see them. I hope you believe that everybody is entitled to their own opinion; however, it is difficult to do when it involves a life or death question. We often (when we have a conversation or interaction with others) spend more time thinking about we are going to say than hearing what the other person has to say and/or acknowledging it. Active listening is one way to be sure we understand what the other person is saying. 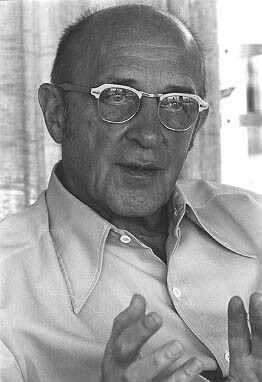 (See the work of psychologist, Carl Rogers.) We listen and then paraphrase what the other person has said. At the same tine checking with them to see if we got the information right. It is important in such conflicts to be assertive rather than aggressive. It helps if you agree that a person has a right to their opinion. You might say, “I can see where you might think I am being aggressive because of the tone of voice that you thought that I used. Finally, a disagreement might be at least partly due to a lack of knowledge of what information the person used to come to their conclusion. There are two sides to every issue. That’s what debates are based on. People can get so worked up about an issue that they jump to conclusions and leave no room for the other person to communicate what actually happened. One way that a person might realize this is when they meet a person who represents the very thing they have condemned and gets to know them before they find out they are supposedly on opposite sides. Such a person might be a Muslim or illegal alien or a conservative politician or stay at home mom; but the person with the stereotype doesn’t know this when he or she first meets them. There can only be one truth, right ? Dear Lord Who I Am Is Not Defined By My Past Anymore I Am Now A New Creation Through You!!! Want a greater sense of wellbeing and happiness? How to achieve self actualisation! When I first was in school, I thought that history was cut and dried. It was a subject that involved memorization of the “facts” presented. It was not until I learned to think for myself that I began to realize that there may be more than one way to interpret a certain set of facts and even later I realized that important information can be left out. A current example of this would be that of the two opposing political camps supporting the candidates for president different takes on often the same sets of information. Also they may choose to focus on different sets of “facts”. Often a country’s government may prefer one view of an historical event over another and, if they have any control of the media, may present a very biased point of view. This is very true of some very totalitarian governments in our world today. In these cases, not only current news is censored; but also often historical accounts. Usually we call this propaganda. It happens anytime when one one group’s point of view is either left out or misrepresented. Not only governments can do this, but also experts on some academic subject or proponents of some scientific or social theory. This is where psychology fits in. How we make up our minds and view the world is very important in effecting how we behave. Psychology is the science of human behavior. Psychology should study all the important variables effecting behavior, not just those supporting one particular theory. It is important to also be aware that psychologists usually design their experiments to account for any type of bias that they can anticipate. Recently psychologists have been acknowledging the effect that observing (and measuring) a variable can have on the results found.